North Korea’s “Dear Leader” Kim Jong-il has been dead not quite two years, but his son, Kim Jong-un, appears to have taken control. And in a much bloodier fashion than predicted, with the execution of his uncle and one-time mentor Jang Song-taek. However, no one knows whether the regime is stabilizing or destabilizing. The ascension of Kim fils never seemed certain. Not yet 30 when his father passed, Kim had had little time to secure the levers of power. Moreover, Pyongyang is a political snake-pit. Kim Jong-un’s supposed mentors—Jang, Aunt Kim Gyong-hui, and army chief of staff Ri Yong-ho—had little obvious interest in aiding his rise. All were powerful in their own right and likely had their own ambitions. Over the last two years hundreds of officials, many in the military, have been removed from office. Until Jang the most dramatic defenestration was of Vice Marshall Ri. His departure in July 2012, alleged for reasons of health, was dramatic and sudden. But it was not clear whether the decision was made by Kim Jong-un or a competitor of Ri holding real power, such as Jang. Of greater concern to the West was North Korean policy. The country had established a reputation for brinkmanship and confrontation. The new government reinforced this approach. For instance, rhetorical attacks on and threats against South Korea and the U.S. rose to unprecedented heights. The Democratic People’s Republic of Korea shuttered the Kaesong economic development, even though the operation provided the DPRK with tens of millions of dollars in hard currency every year. The Kim government recently detained an 84-year-old American Korean War veteran and tourist for six weeks on bizarre charges. Now comes Jang’s ouster. There is no reason for the West to mourn his passing. But previously family members only disappeared. 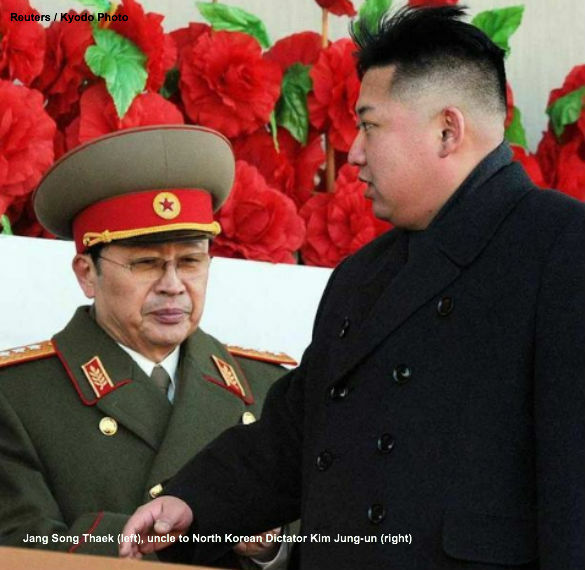 So everyone wonders: does Jang’s dramatic departure mean North Korean instability? Jang’s execution could demonstrate that Kim Jong-un is solidifying his rule. Removing another minder appointed by his father would seem to leave Kim more securely in charge. Moreover, a willingness to execute likely deters anyone but the most determined or desperate from challenging the leadership. Nevertheless, the DPRK could be heading for further instability. The episode is unprecedented, which suggests that something is amiss in paradise. Jang could have been the casualty of a messy and vicious power struggle likely to grow worse. If he can be taken down, no one is safe. Fear may widen leadership divisions, spur internal resistance, and draw in the military. Political uncertainty in Pyongyang almost certainly will reduce the already minimal possibility of domestic reform and foreign engagement. If Kim truly has consolidated power, he might feel freer to act. However, even then orchestrating a wider purge would absorb time and effort. And if he fears continuing opposition to his reign he probably will put off any potentially controversial policies, especially if they conflict with the interests of the military, which still potentially wields ultimate power. Further, Jang was associated with economic reform and China relations. He was involved in economic management and thought to support policy liberalization, or at least placing a greater emphasis on economic development. Last year Jang headed a large delegation to China which discussed expanding special investment zones. However, after his death Jang was criticized for his economic activities. The charges might be intended to discredit him for any reason. Nevertheless, it is hard to imagine economic reform speeding up in a government sundered by a power struggle in which a top economic official was just executed. The greatest danger is that Kim Jong-un’s apparent ruthlessness may be less constrained internationally than that of his father and grandfather. If the younger Kim is taking on full dictatorial power, he might misperceive domestic authority as translating into international strength. Or if his authority is under challenge at home, he might be tempted to provoke a foreign crisis. Either could be dangerous for the region. The DPRK long has been the land of no good options, the geopolitical problem with no good answers. Even if Jang’s execution changes nothing, it reminds us that North Korea remains a threatening yet mysterious presence in Northeast Asia. And the ongoing leadership transition—whether solidified or unsettled—isn’t likely to bring peace or stability to the region. Submitted by ronnine on Tue, 12/17/2013 - 14:24. Perhaps Kim is going to abdicate in favor of Dennis Rodman and just wanted to grease the skids for him?